This website has been created by the Grange Park Community Council (GPCC) to share information about Grange Park’s past, present and future. Grange Park is a beautiful and historic green space located in downtown Toronto. 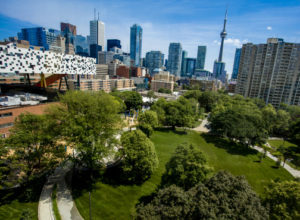 The local community works in partnership with the City of Toronto and the Art Gallery of Ontario (AGO) to ensure that the park continues to thrive as a vibrant and accessible destination for all to enjoy.